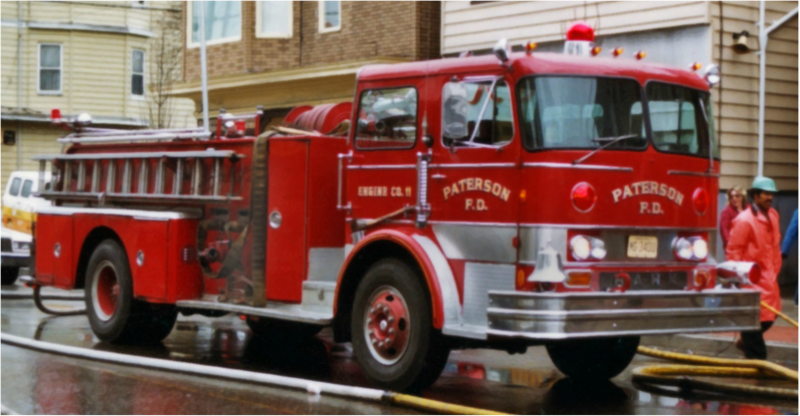 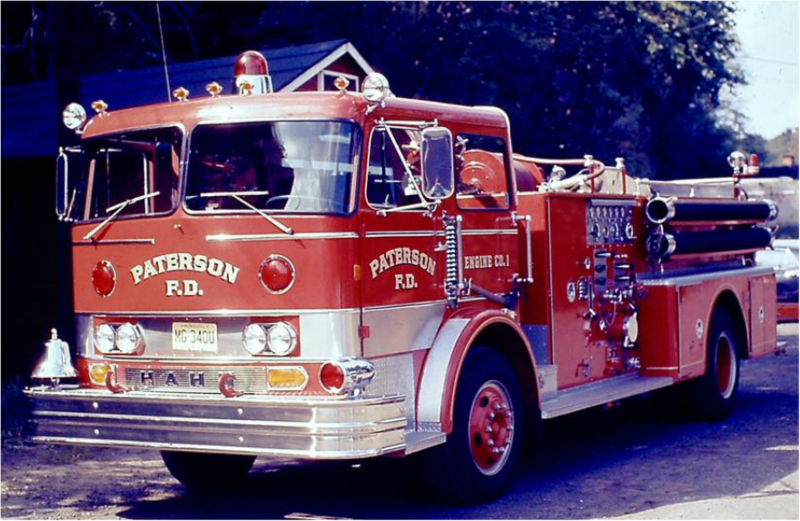 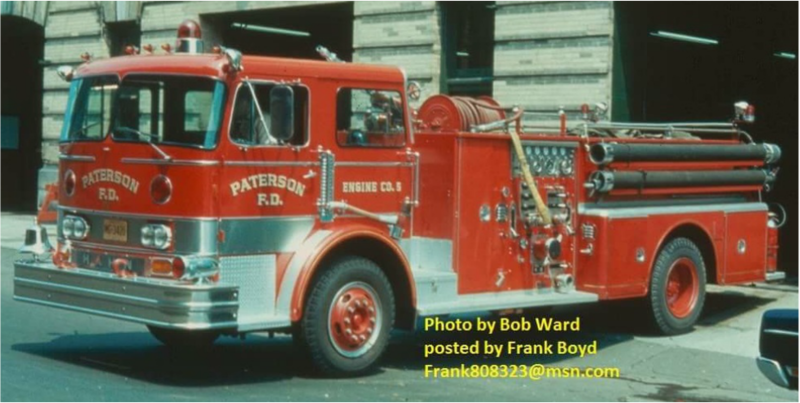 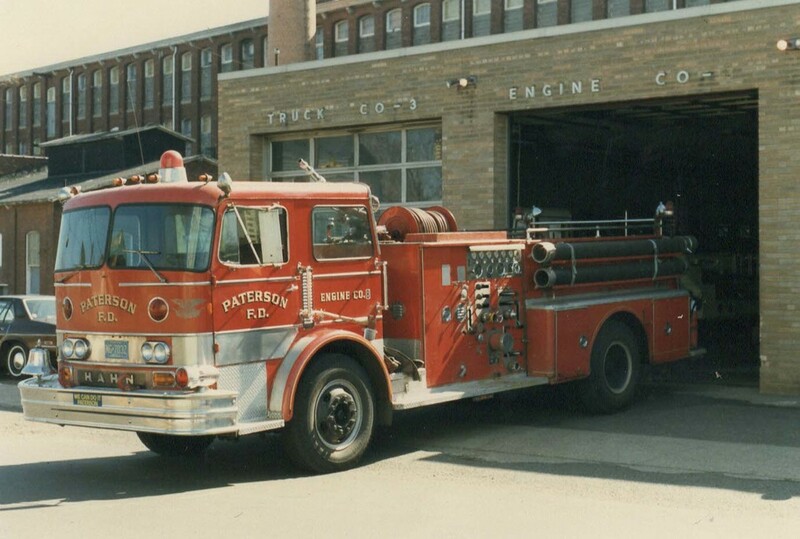 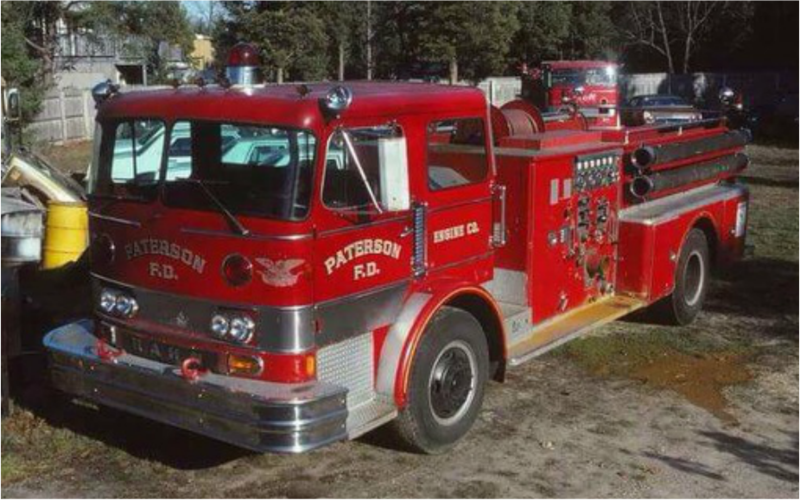 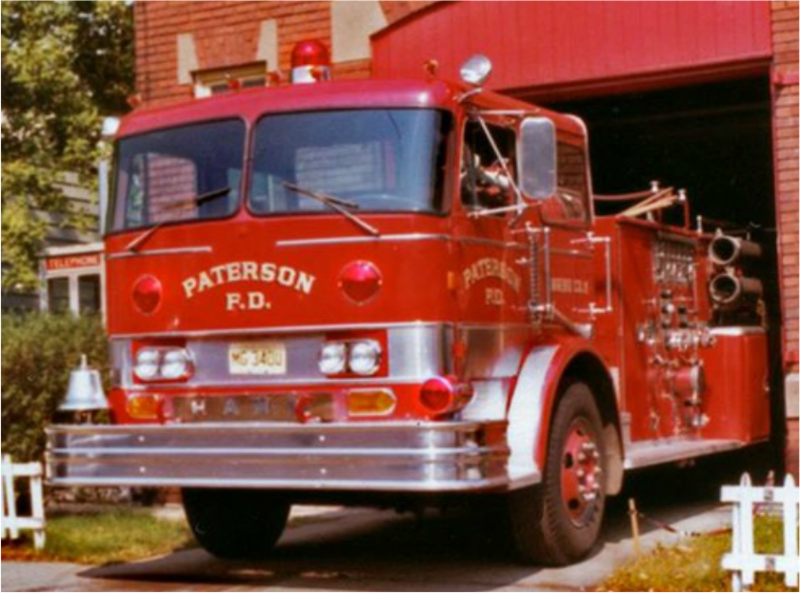 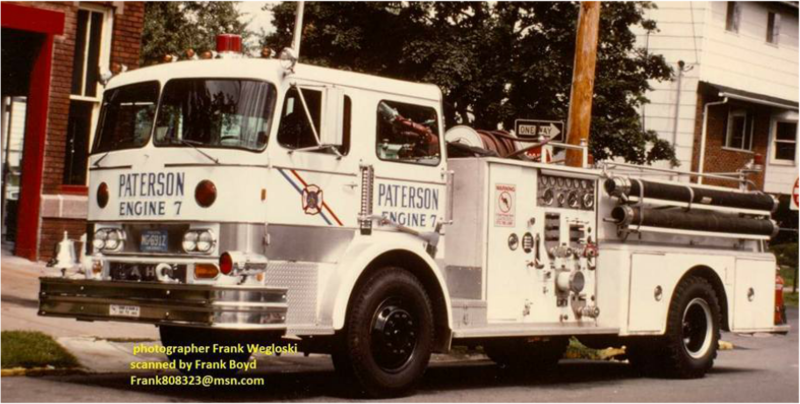 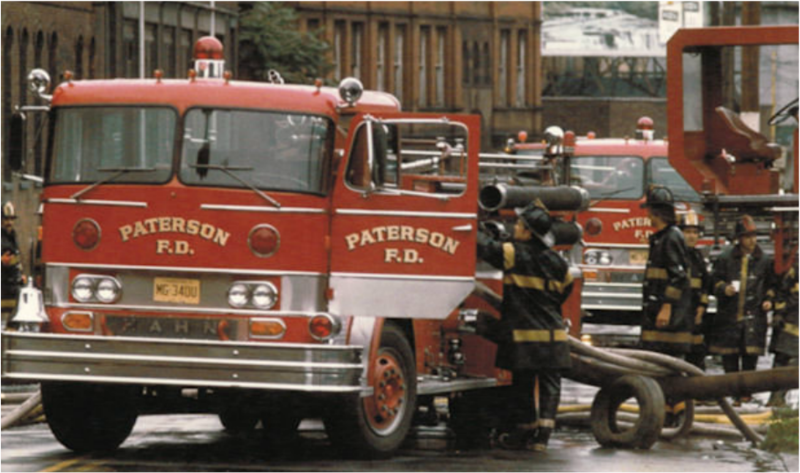 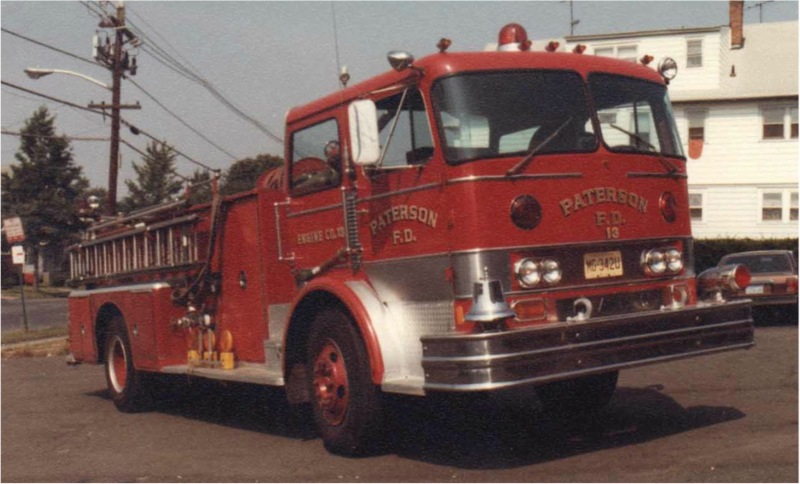 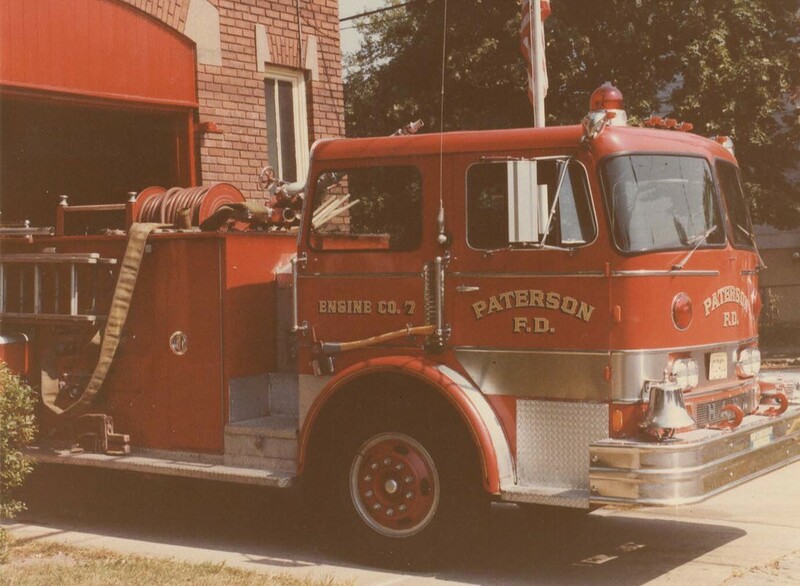 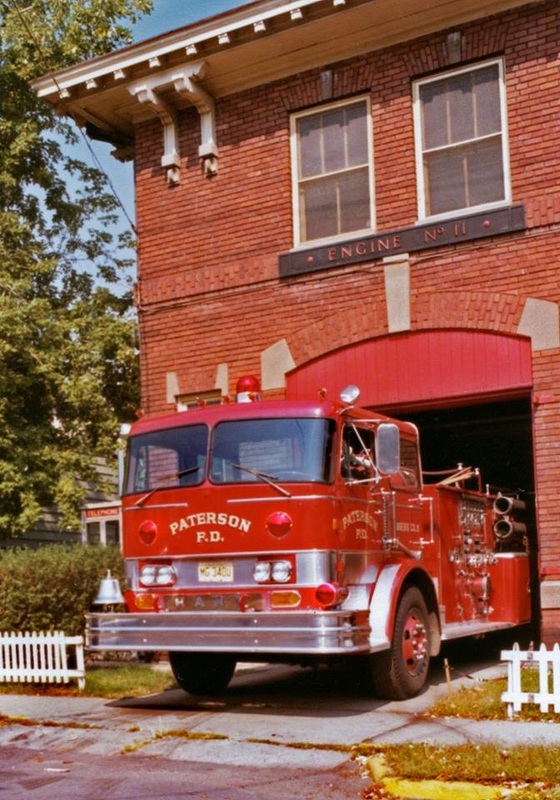 In the 1970s Paterson purchased 6 Hahn 1250 GPM pumpers: In 1971 four were bought and assigned to Engine Company 1, 3, 5, and 12. 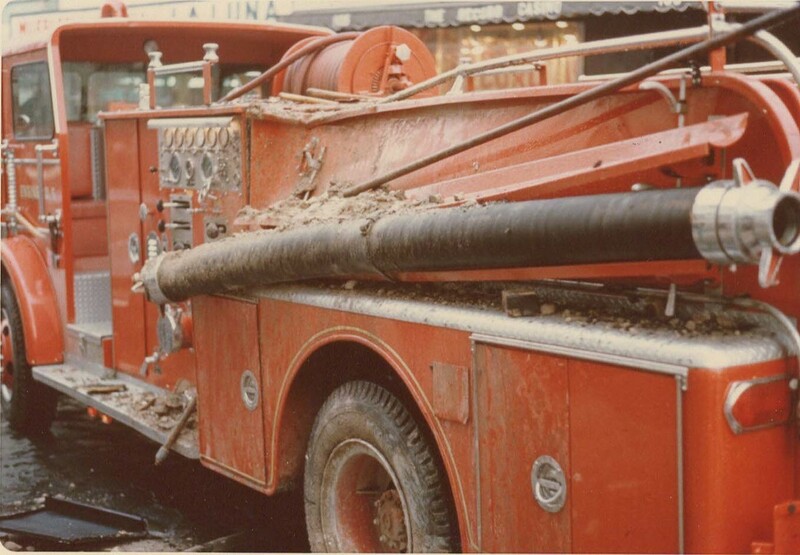 They were all painted red. 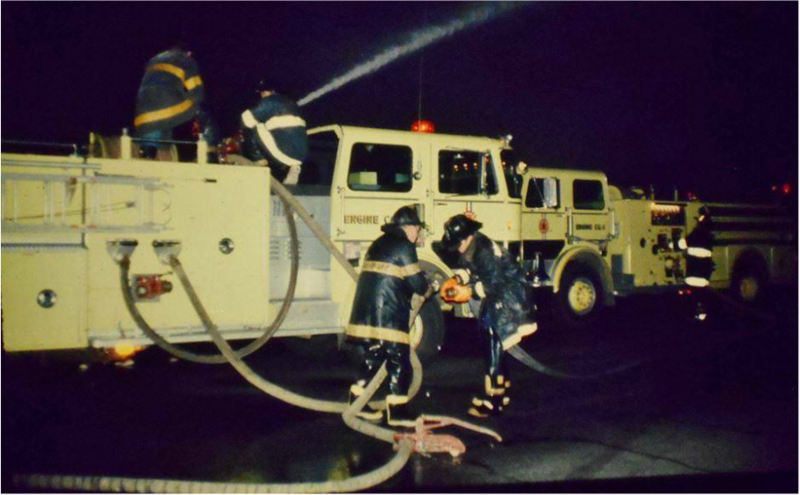 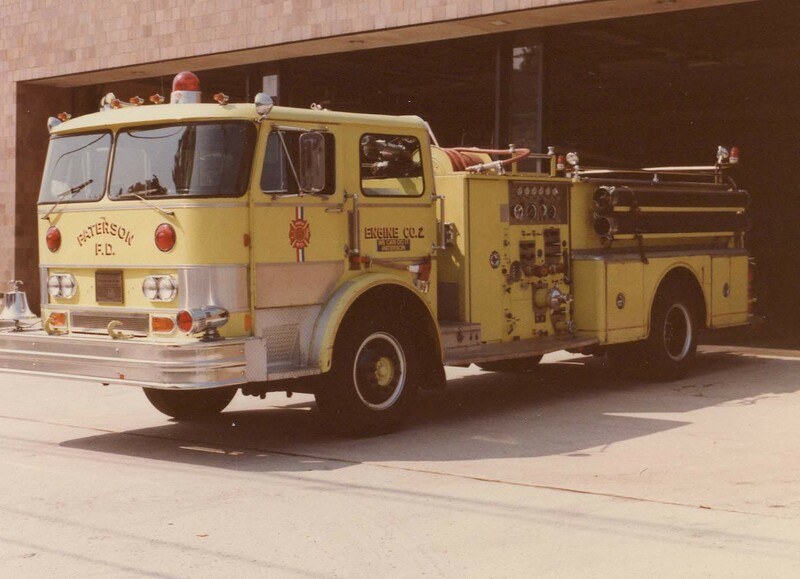 In 1975 two new 1250 GPM pumpers were purchased: they arrived in 1976 and were assigned to Engine Companies 1 and 5 and both were painted yellow. 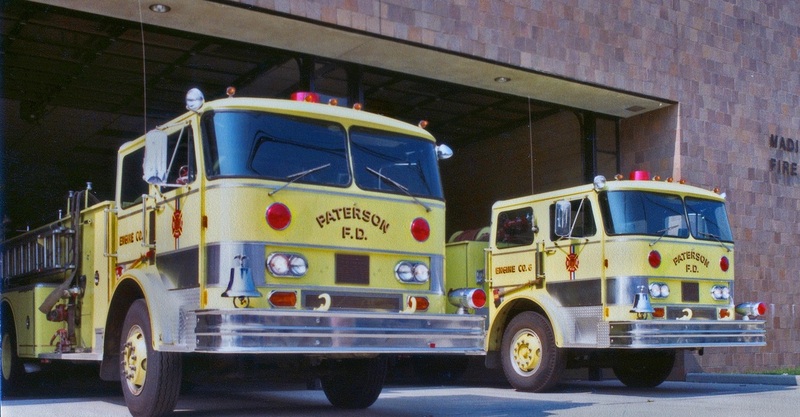 At least one of the 1971's and one of the 1975's was later painted white. 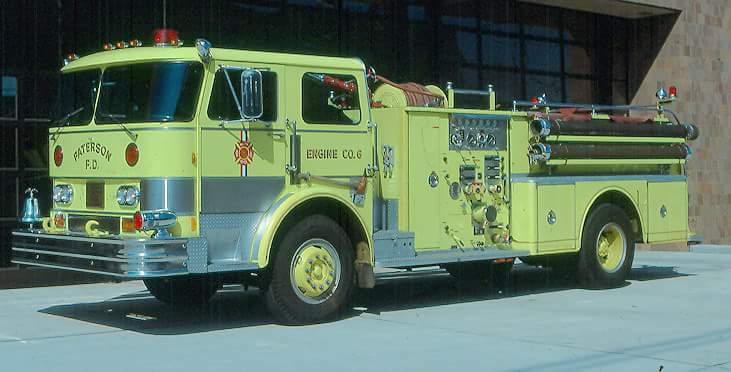 ​Other than color the easiest way to distinguish a 1971 from a 1975 is that the 1975s had a brow over the front windshield and the 71s did not. 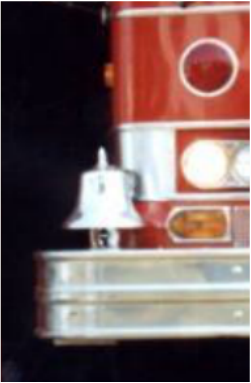 Also when they arrived the blinker light on top of the cab was dome shaped in the 1971s and flat-top shaped in the 1975s. 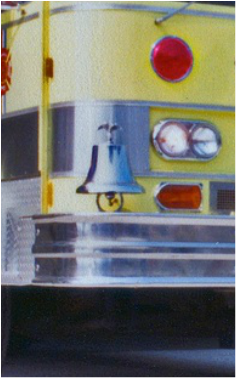 The bells on the 1975s had Eagle (? 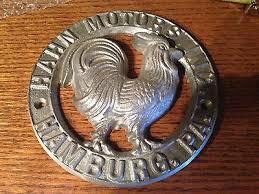 rooster) finials whereas the 1971s did not. 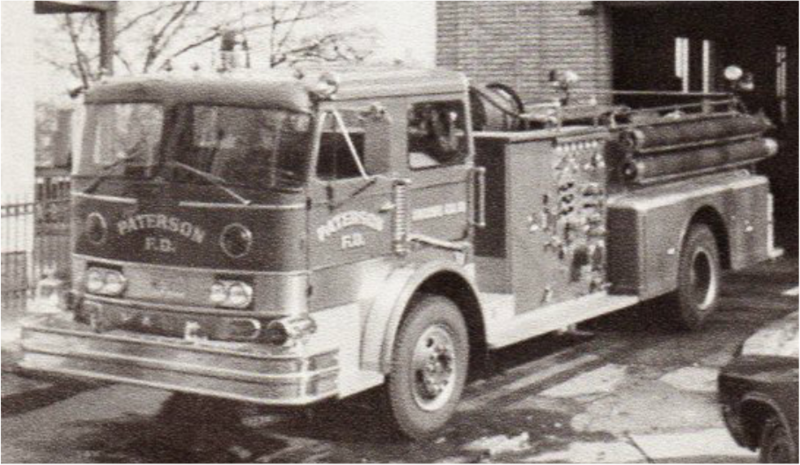 June 5, 1971: Engine Company 1 located at 155 Van Houten Street receives a new Hahn 1250 GPM pumper (Serial # HC523127120) painted red. 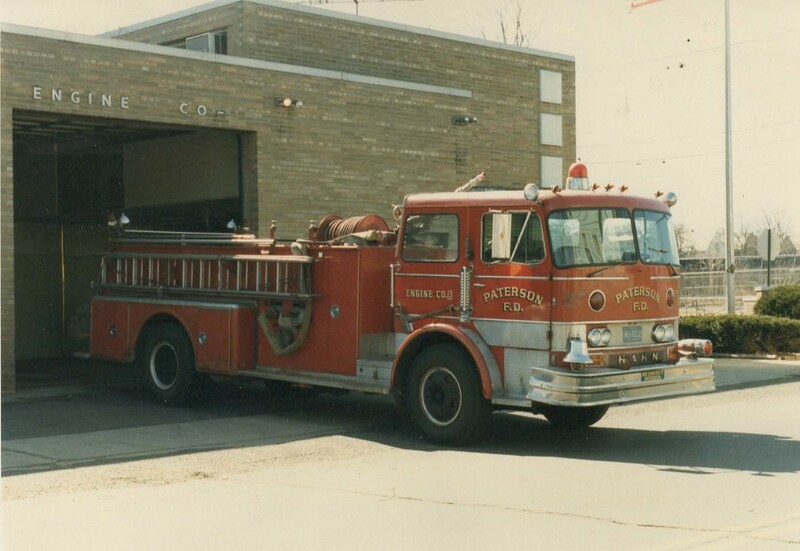 Relocated at Engine 6 on Market Street March 24, 1976. 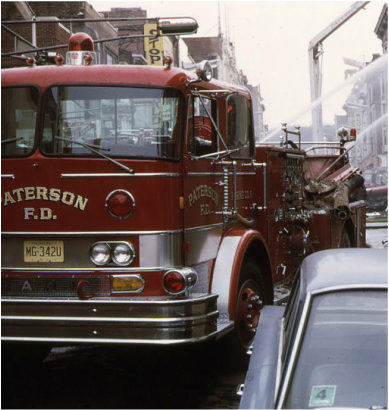 On February 1 1978 it relocated at Engine Company 11 at 97 Grand Street. 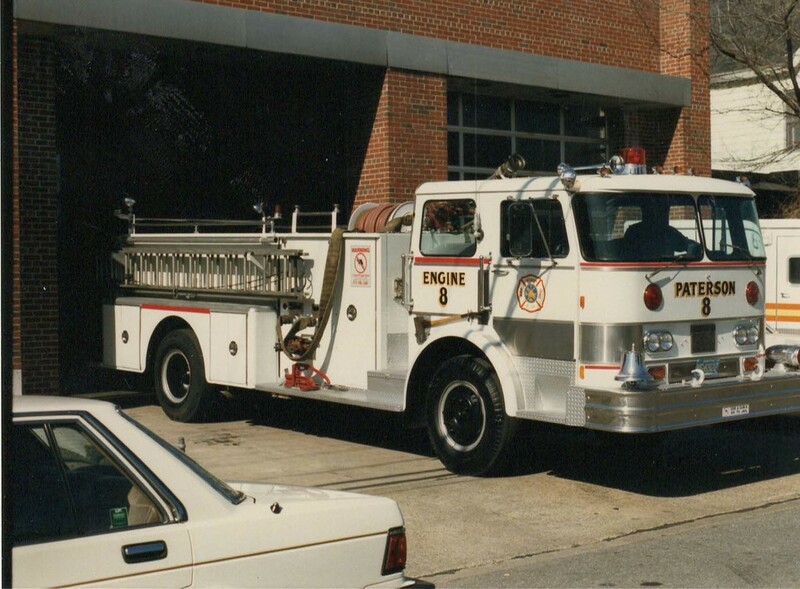 Engine 11 went out of service on September 3, 1982. 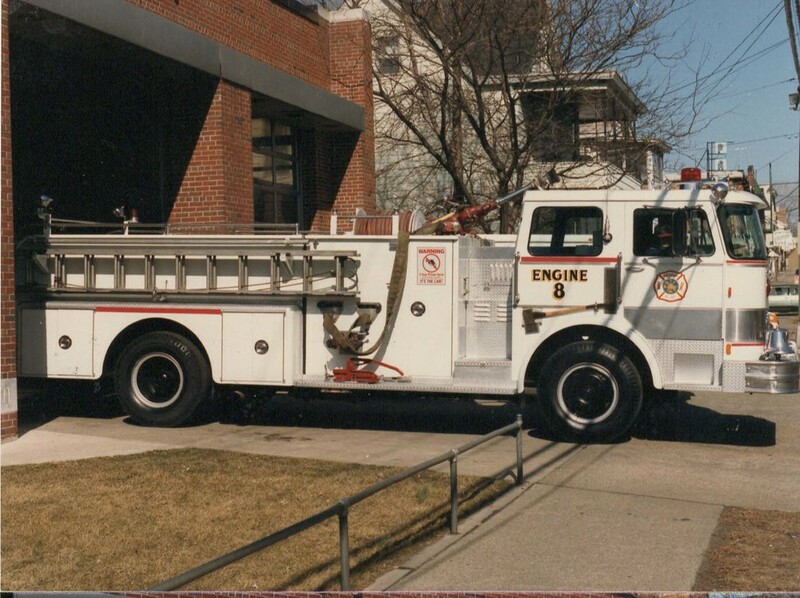 After being painted white with blue lettering this Hahn apparatus went back in service in 1984 as Engine Company 7 at 97 Grand Street. 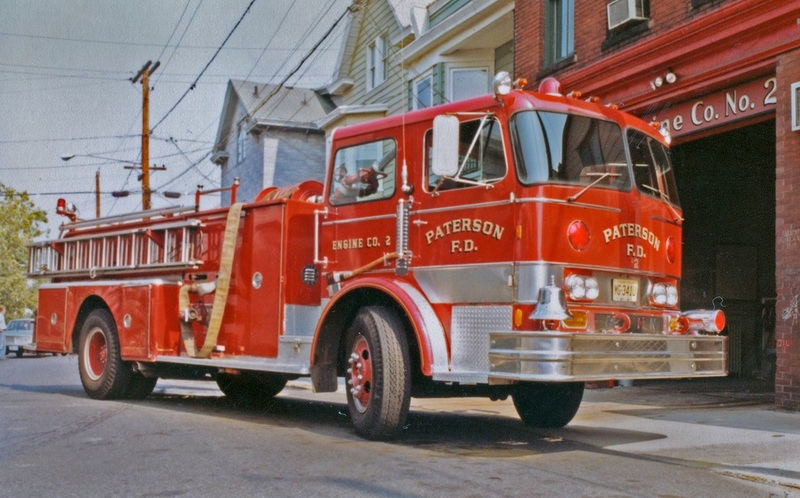 June 10, 1971: Engine Company 5 at 115 Van Houten Street receives a new Hahn 1250 GPM pumper (Serial # HC523127123) painted red. 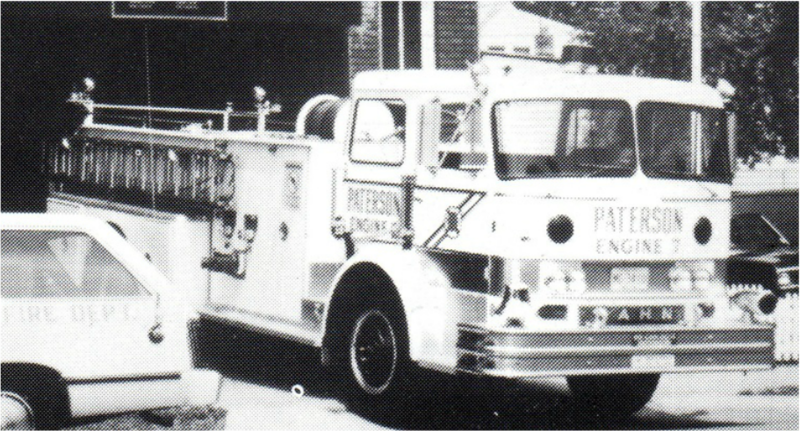 June 14, 1971: New 1971 Hahn 1250 GPM pumper (Serial # HC523127122) assigned to Engine Company 3 shown in the parking lot next to the Riverside firehouse. 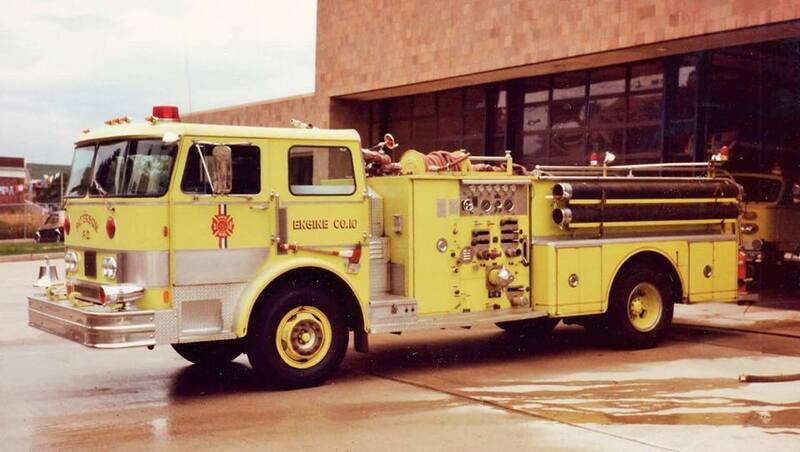 At one point while at E3 Gold Eagles were painted on each side of the cab front. 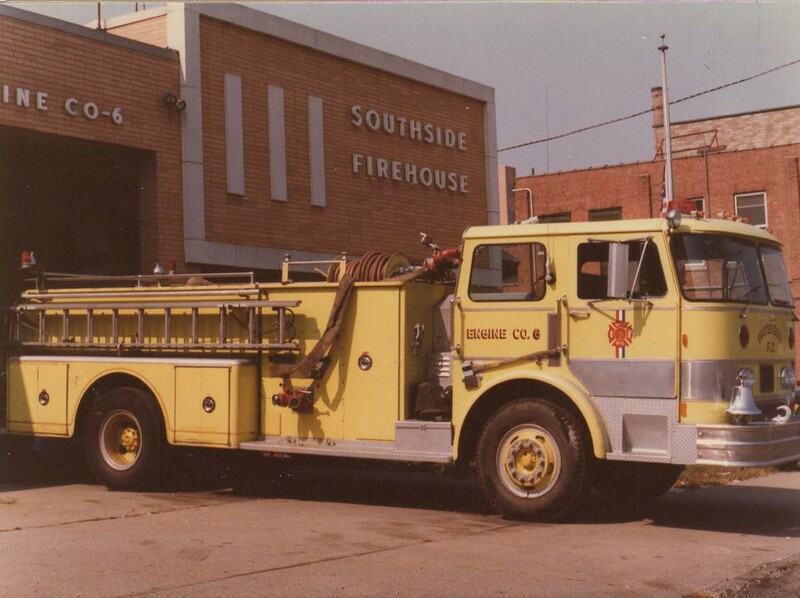 The pumper relocated to Engine Company 13 in March 1976 and then Engine Company 9 at Southside Firehouse January 26, 1978. 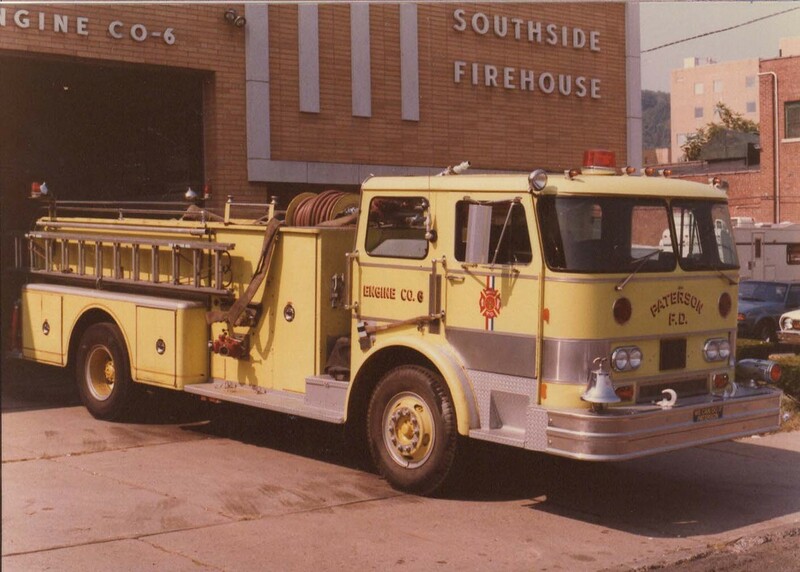 There is a story behind the golden painted eagles on the front of this 71 Hahn pumper. 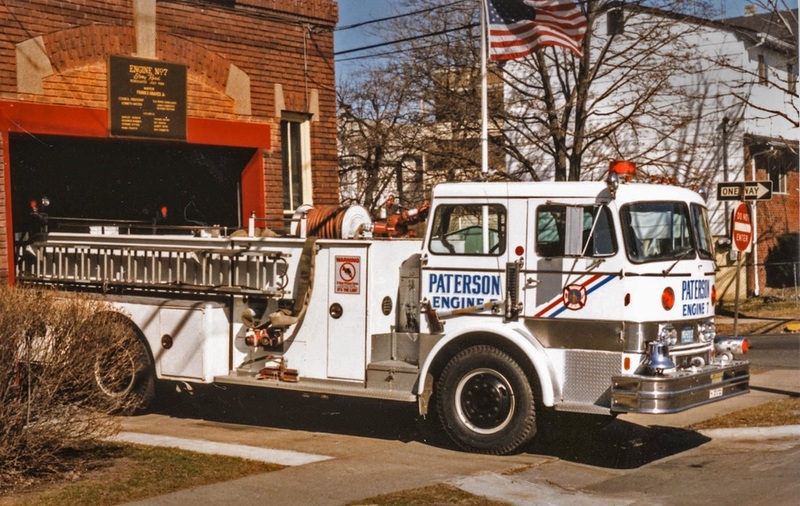 An unnamed fireman, assigned to E-3, who himself was a veteran, whose father was a tour commander, and who later became a chief himself, put the eagles on. 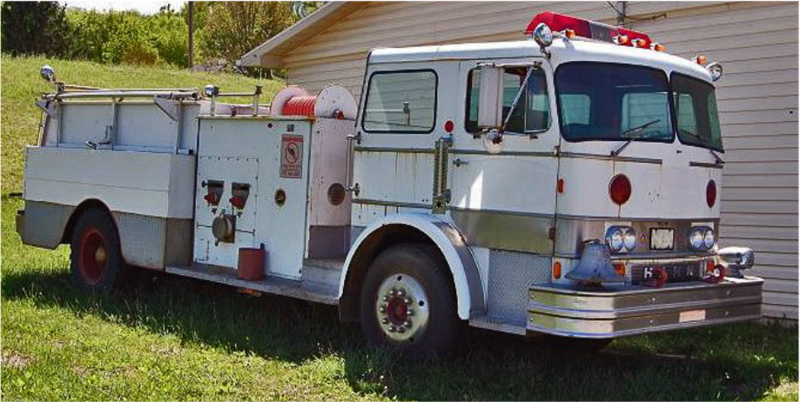 There are more than 1 firemen who fit that description. 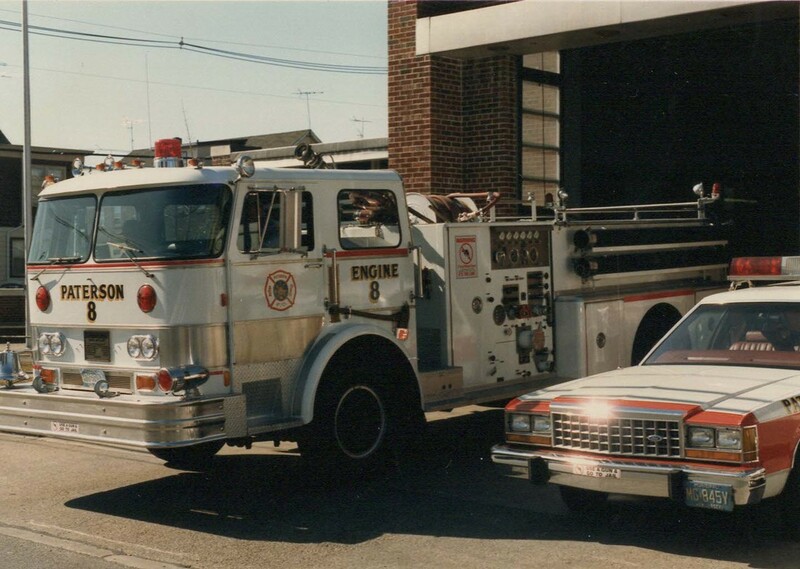 The individual put them on but when Chief Kane saw them later he was not happy and demanded they be removed! 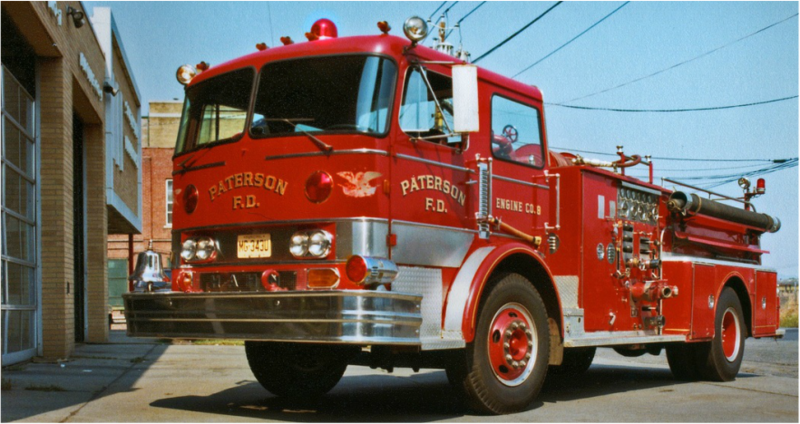 Don't know if it was a ruse or not, but Chief Kane was told that the paint job would be damaged if they try to remove the Eagles. 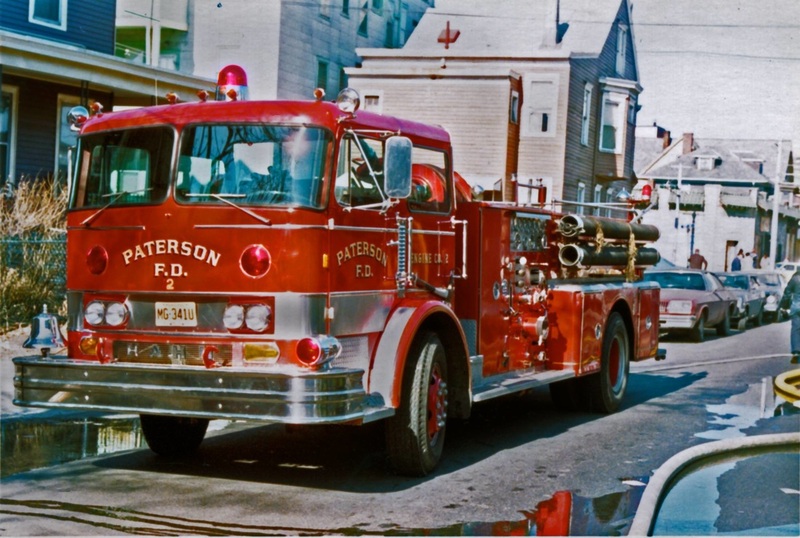 The chief relented but sent notice that he would not let the apparatus become circus wagons. 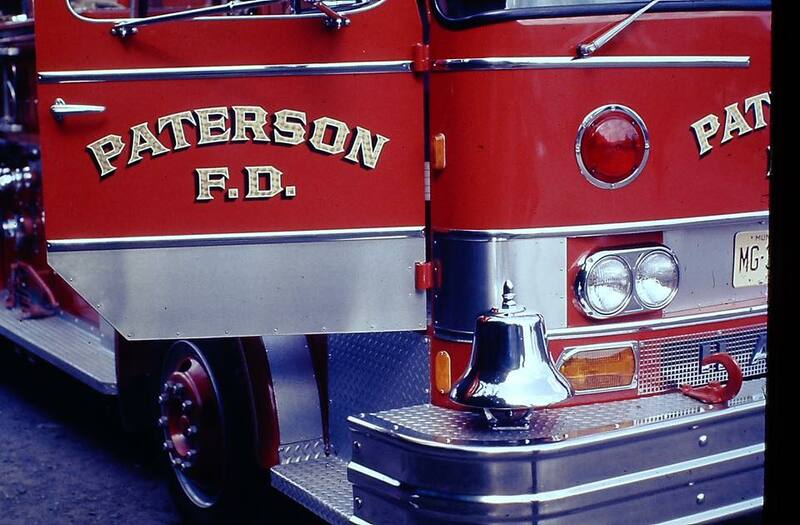 Anyone henceforth caught putting anything on the apparatus, without authorization, would be suspended without pay. 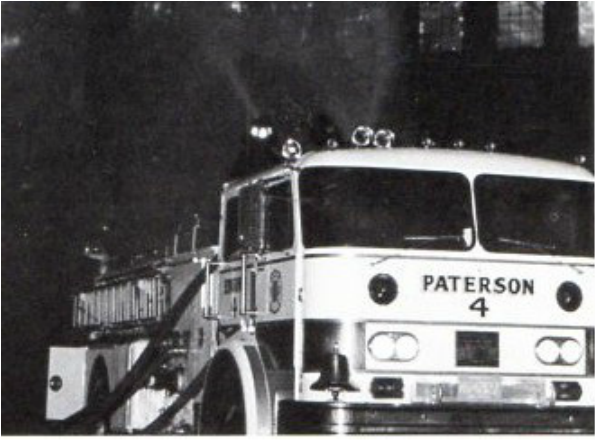 The eagles made it until the day they the apparatus was sold (see below). 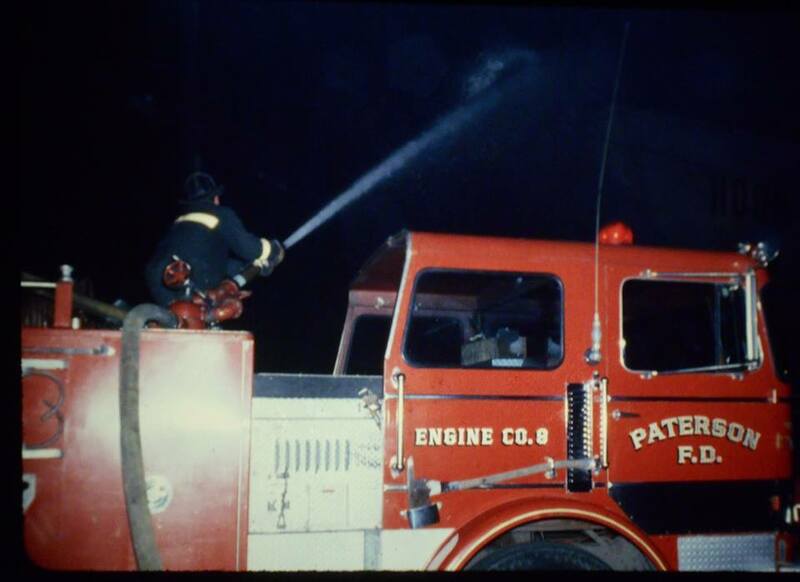 June 22, 1971: 1971 Hahn 1250 GPM pumper (Serial HC523127121) assigned to Engine Company 12 at 36 Circle Avenue. 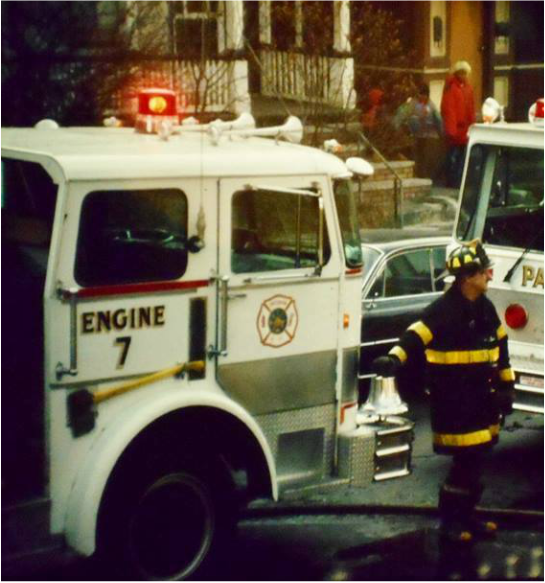 Transferred to Engine 2 at 77 Highland Street on October 7, 1979. 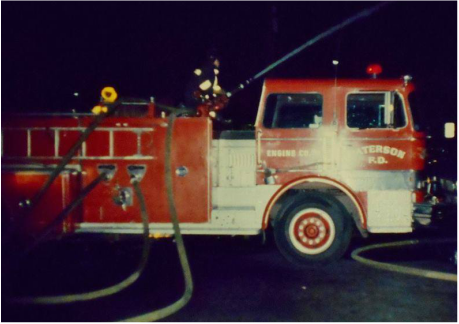 March 1976: Engine 13 received a 1971 Hahn 1250 GPM pumper (Serial # HC523127123) formerly used by Engine Company 5 at 115 Van Houten Street. 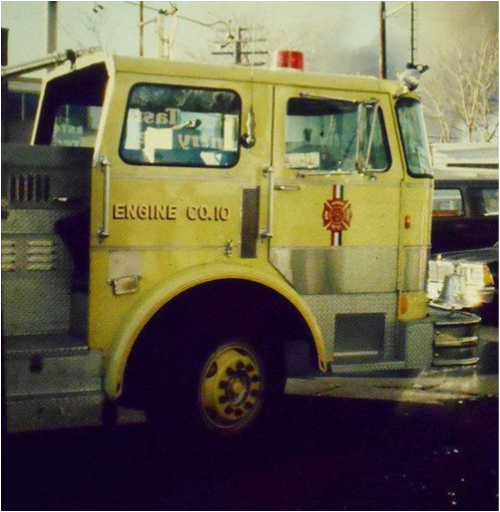 March 17, 1976: Engine Company 1 at 115 Van Houten Street receives a new 1975 Hahn 1250 GPM pumper (Serial # HCP528127624 painted yellow. 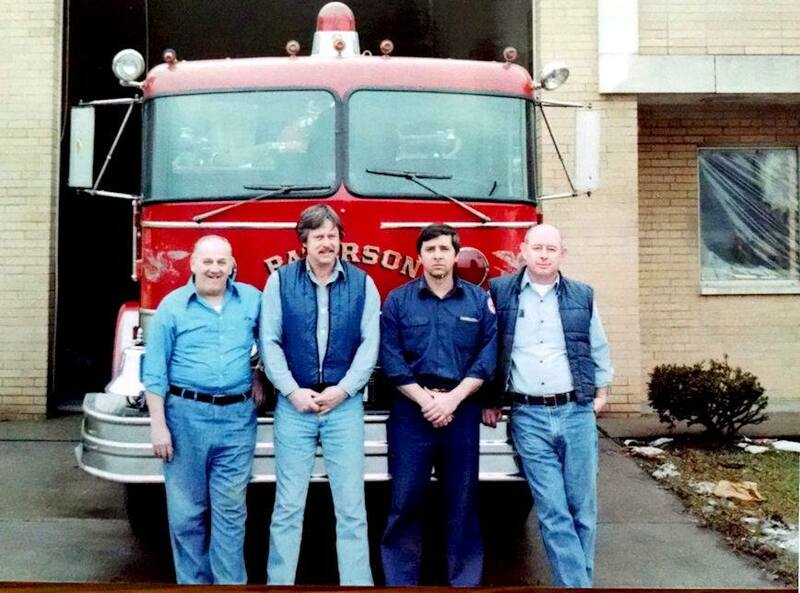 Transferred to Engine Company 6 at Madison Avenue Firehouse February 1, 1978. 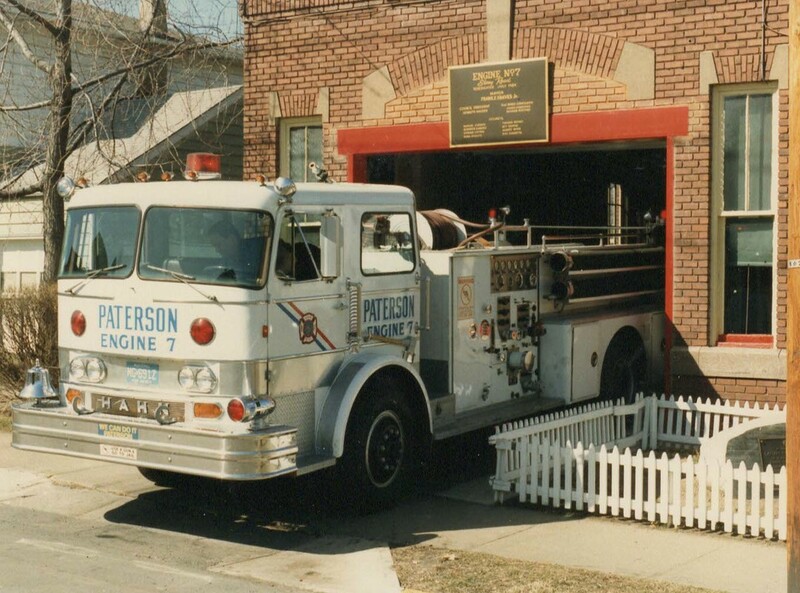 The company relocated to Southside Firehouse on Getty Avenue September 3, 1982. 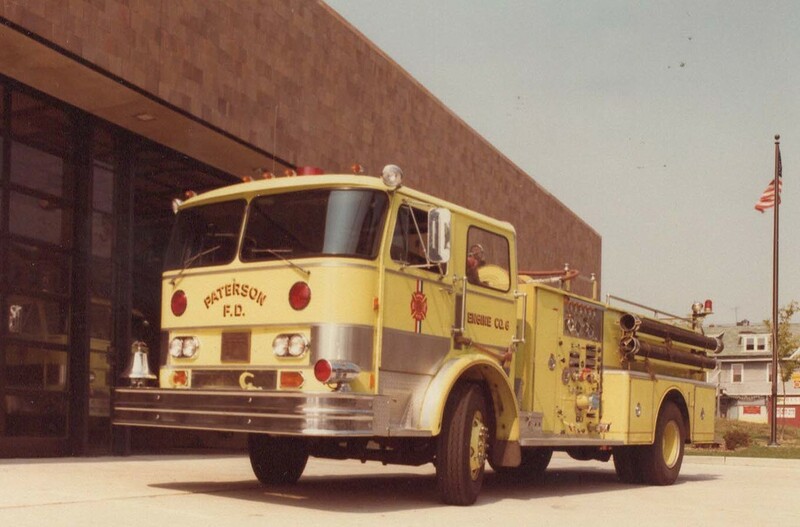 It next was transferred to Engine Company 8 located at the Hillcrest Firehouse on Union Avenue on February 13, 1985. 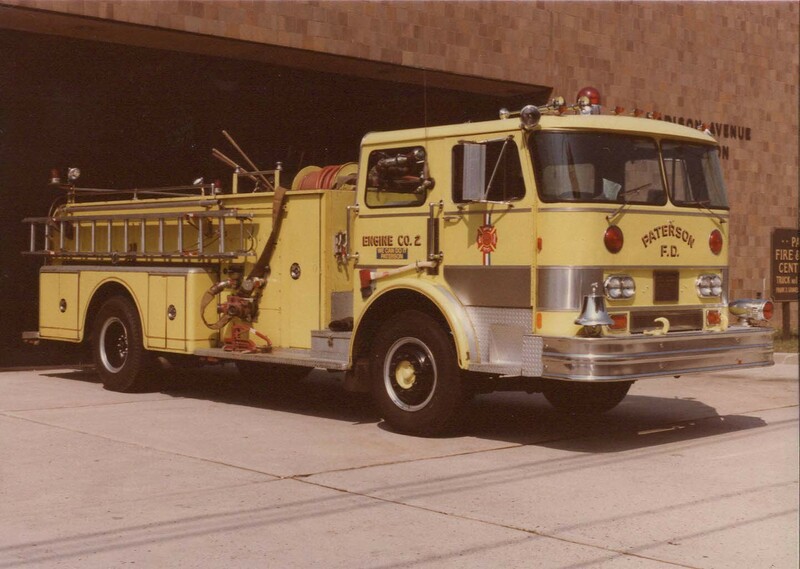 March 17, 1976: Engine Company 5 receives a new 1975 Hahn 1250 GPM pumper (Serial # HCP528127621 painted yellow. 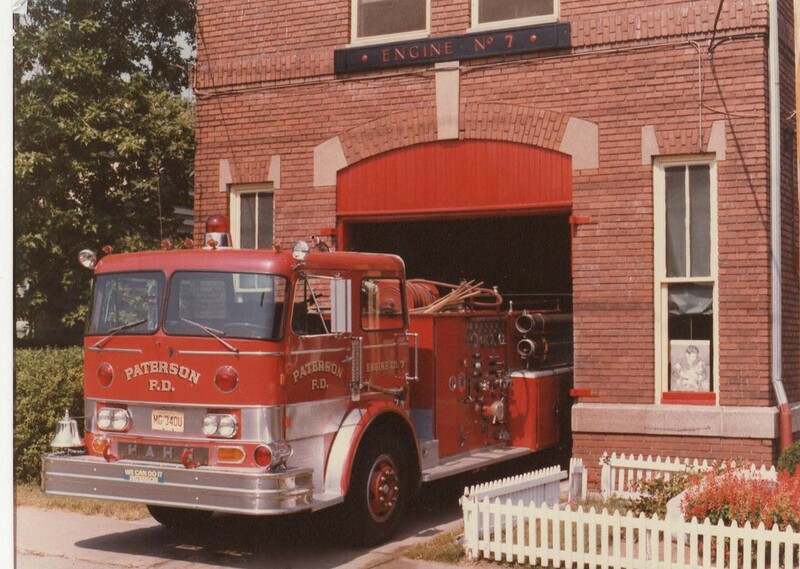 It relocated at Engine Company 10, then located at 198 17th Avenue on January 30, 1978. 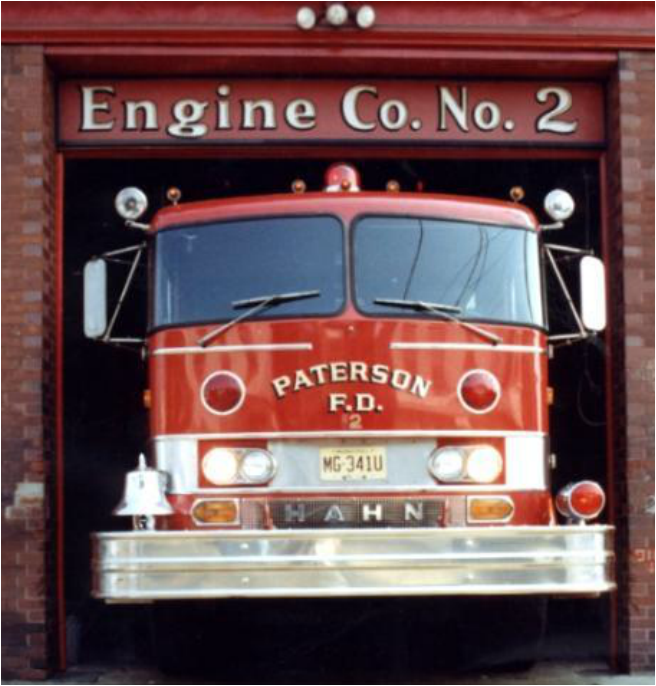 Engine 10 moved, with the Hahn to Madison Avenue Firehouse in October 1979 and its company number was then changed to to Engine Company 2 September 3, 1982 (Madison Avenue Firehouse).